AIt requires more than educational qualifications and skills to be a successful project manager. One needs to have various soft skills and capability to get out the comfort zone. Ready to learn new skills, gain new knowledge and take the assigned project as their personal ambition to fulfil it. They require intense people skill to manage and motivate them to complete the work. With rapid economic growth happening and competition getting tougher and tougher, the demand for project manager has increased from past few years worldwide. They are seen as a core team member of any organization, but to be a really successful project manager one needs to hone their talent over the time. From the above introduction, I assume that you have got a brief idea about What does being a project manager actually mean. To make this article even more helpful, we will be going through certain things and covering all the details you need to know regarding the project manager and project management career. If you are a person who is interested and have the capability of leading a team or have good leadership skills, then project management career can be a good career choice for you. As the designation of the project manager role is high, so are its roles and responsibilities that come along with it. A person who likes diversity in work is best suitable as a project manager, as it is a sector which is always continuously evolving and requires something new every time. A project manager has to lead the entire project himself and ensure that it is passed through all the stages effectively, specifically from the start till end. For this, he has to act in several roles like leader, mentor, performer, team worker etc to make sure that the whole process is performed accordingly as planned. Now coming to the core of the article, if you desire to become a project manager then education is the first part where you should initially focus on. But before all this, first, you need to understand what this career is all about. Ask yourself whether this career interests you or suits you. It is better if you could meet few professionals in this sector to gain a more clear picture regarding it. You can also try project management internship at any company. Take the help of internet to view some online courses regarding project management. Here are a few sources where you can find online project management courses: edX, Alison, Coursera, Simplilearn, Udemy. An important tip to follow is that you should never take up the role of a project manager without any experience or as a fresher. The role of a project manager is a very responsible one, so the responsibilities that are linked to it also carries the same level of importance. Would take out time to teach and train you. Helps you master project management methods, methodologies, frameworks, processes, and best practices. To become the best project manager, its not just the project management knowledge you need but also a few others skills like soft skills, hard skills etc. Now again this set of soft skills comprises of different types of skills which are mandatory for the project manager role. Though leadership skill is an important trait of a project manager, he should also be capable of working within a team. This helps their team members to avoid any kind of hierarchical problems which most of the leaders face. Being a project manager you should possess some knowledge about project management process, frameworks, and people management. 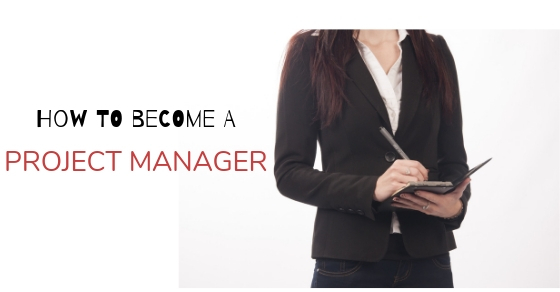 It is not possible for a single person to be master in all these skills but a little idea and experience regarding these topics will take you a step ahead as a project manager. Last but not least, finding immediate solutions to the problems or issues that arise during the project is a vital trait that a project manager should possess.Let us have a look at skills of the most successful project managers. A project manager requires to be great at communication skills at all levels. They require interacting with various kinds of people from senior management to freshers in the company. They must be able to talk and listen with equal ease with everyone. It is important for them to be polite and when requires to pay attention to people’s personal problem as in when they share. For example, if someone comes to you with their family-related problems then it is important to listen to their concern and later on enquire about it. Non-verbal communication is equally important as a verbal communication for a project manager. Effective emails are required to communicate the concern or query to the senior management. A good email sometimes is also an effective tool of motivation for the team. Writing is also helpful to give clear instructions for a project and it allows for networking to the people who are not within the visible vicinity. Confidence is required so to motivate the team members during the stressful time. If a project manager shows the confidence in himself and his team then the results will be brilliant. It is important to also put across the ideas in the senior management with immense confidence for a project to be successful. Confidence is contagious if you have it in you than your team will automatically be inspired by it. Patience is another essential virtue since in a team there are people of various capabilities and working style. Some are quite fast and finish the work even before time and others might take a lot of time to do a project. Every individual has different characteristics to do a project, the job of a project manager is important here to understand that how and when the work should be assigned to people. Effective public speaking skills are of great requirement, especially when presenting the project in front of the stakeholders. Communicating with right words to them along with immense confidence is essential to make the project successful. To be good at public speaking don’t shy away from taking classes and practicing for it. Some people are born with it, but others are capable of being one. While working on a project, various kinds of issues can come up which at times might require immediate attention. For a project manager, it is of utmost importance to be able to instantly find the right and effective solution without taking much time. They require an eye to finding the effective solution in every difficulty and make the workflow smooth. For a project manager, it becomes essential to have the right knowledge of the various skills required in a team. Hence, it is of added advantage of the project manager is flexible and ready to be out of comfort zone to learn new skills. It could be on the job, or joining courses or be a part of training. The more skills and knowledge they develop, higher the chances of success. Every project is required to be completed within the deadline. Hence, the skill of time management becomes essential for a project manager. Sometimes the deadline to complete the project might not be enough, in that case, management skills to get the work done comes handy. Managing time can be learned and practiced and can be perfected over the time. Appreciating people for accomplishing the task is a great gesture to increase the enthusiasm level within the team. Occasional compliments and appreciation to the team members in a group and as individuals always help. The teammates then tend to look up to you for your feedback and suggestion as and when required. In the initial phase of creating a new system might be a time-consuming effort. But in the longer run, it will turn out to be an effective time-saving strategy. What goes where and who is required to do what is important to plan and decide before the work begins. A good system is highly effective to get the job done. In fact, everyone is clear and know what their job roles are, the amount of confusion and misunderstandings becomes negligible. Making every individual responsible for their work has its own benefits, first is they will take charge of the work and second, it makes workflow smooth. Tough decisions are to be made with logic and reasonings. To be rational while making a decision is a skill, a project manager requires, too much emotional attachment involved in the decision-making process will hamper the result and efficiency of the work. For example, you might need to talk to your teammate regarding a concern where he/she might be asked to leave the project, if the emotions are involved in it then it will be difficult talking to the person. Hence, one needs to be clear that it is just part of the job. Having the right resources for the work is another important skill. Create a good network system, know the people who can get the job done. Interact with more and more people, learn from them and find out their skills and knowledge. Networking for a project manager is essential as if the project of various features may come and knowing the right person will help in fitting in the team. Team meetings are helpful to discuss the problems faced by the team members and the possible solution for it. A project manager can receive the update on the work that is happening and the status on it. Team meetings are not necessarily a waste of time, but if done effectively can give great results. Team meetings provide opportunities for everyone to interact and share their ideas and concerns. Why the project is important and what we want to achieve with this work? These questions are important to answer to the team members. Always share your vision with them, let them know the whereabouts of your work and what are the benefits of the end result. Sharing the vision is helpful in keeping and motivating everyone towards a common goal. Project manager job is very tiring and tough. The person needs to be motivated all the time and has to be on the toes for everyone. Sometimes it becomes quite tiring and chances of the person draining out become high. The best way to deal with this is to find your inspiration and hobby, whenever you feel things are getting out of your hand, look towards your inspiration and the energy will flow back in. It is good to find the inspiration in some different area of work rather than yours. Most of the time people tend to spend their lives in an office or in the professional sphere. But it is essential to have a personal and social life. Encourage your team members to be a part of social groups and take vacations with their families. Too much work tend to burn out the person hence to get the best out of them is to allow them to have breaks in between and come back refreshed. Once they are charged, they will automatically deliver great results. It could be a scenario where you might be facing issues and problems with a specific team member, or you might not agree to someone else’s view. The best thing is to look at the bigger picture and see the end result. Focus on working as a team and keep aside your personal egos and issues. Great results will be noticed and that is what is important. Every individual is unique and has different skill sets and talent. As a manager ensure that you provide some space to explore and experiment with your team members. Take their suggestions and feedback as in when required. Allow them to execute their own ideas and appreciate it. Letting the talent grow in the workspace makes the people comfortable and happy to work. This will give better output at work and as a manager, you will earn respect. Other than project management skills, general business knowledge is an important factor a project manager should possess. As every organization services and projects differ from others, in the same way, the duties of the project manager also differs according to the niche he is working in. Here we have created a list of common project manager duties, by researching around top 200 LinkedIn worldwide job postings. “There is no secret way to success” is the perfect quote for this segment. The best way to become successful as a project manager is to work his best. There is no other secret to it. So rather than searching for the perfect secret, it is better to focus on your work and perform well as required. Being adaptable is one thing that would help you in the journey of a project manager, as the project management process is always changing. The project management tools used by the project manager is in a way kind of secret which no one shares with others. These tools help to turn most of the function to get automated, hence helping in saving time and energy. Any specific college degree will not be helpful for becoming a future project manager. A degree might limit you to a specific subject, but the role of a project manager does not belong to only one industry. Project managers are in almost every kind of business such as software, art, logistics, economics, linguistics, etc. So not having a degree will not limit your chances of becoming a project manager. In this case, it is your desire and will that how you want to improve yourself. Self-development, self-learning, and a will to improve oneself are the important things for placing you at the top of your career. Master of Business Administration in Project Management from the Liberty University. Certification acts as an added advantage to the project manager. Employers are also keen on hiring the candidates who are having certification in project management courses. Though the importance of these certification decreases day by day, the training which you receive during the courses will be very helpful for you at present and future growth too. Also, an industry related certification will be advantageous anytime. The salary of the project manager differs from country to country. A project manager’s annual income can be anywhere between $54,000 to $118,000. Here the average salaries of project managers in united states are provided as per the different companies in a tabular form. Experience is a powerful tool when used effectively. You need to always try to connect with experienced professionals in your work sector, as the information and knowledge you gain from them will be very valuable. “My story on project management is as follows – I was assigned a project back in 2016, which seemed like a regular project at the start. However, after a first round of initiating and planning, it turned out to be a large program with multiple cross-functional stakeholders within Dropbox and external technical vendors. This experience definitely pushed me out of my comfort zone as a project manager and it was difficult managing ongoing changes on a continuous basis. “When I first started out as a project manager my biggest problem was that I had no one to shadow, or learn from, within my company. For many many years, I was the only project manager around. It would have probably fast-tracked my career had I had someone to ask for advice, but instead I learned to find my own answers, to rely on my intuition and to use common sense. I always tried to find the most simple and effective way to track and communicate something without the use of jargon. To learn about project management I researched the internet and studied the PRINCE2 manual at my own initiative. “I tend to be pretty optimistic and naturally, I’m a ‘just wing it’ kind of guy. So when I first started my career as a project manager and relied on my natural instincts to just take it easy, perhaps unsurprisingly, projects kept on going over budget, timelines slipped and clients got mad when they didn’t get what they thought they had paid for. It was soon brought to my attention that the way I was managing projects wasn’t really managing at all – I was just letting projects happen around me – hoping for the best and that everything would work itself out in the end. The lesson I quickly learned is that if I wanted to succeed as a project manager, I needed to park my optimism and be more of a pragmatic realist. “The biggest problem I encountered when I started my PM career was deciding what not to do in order to get good at project management. I have a technical background and made the common mistake of dividing my time between project management and production related tasks while I should have been concentrating on project management only. It’s really hard to let go of something you know how to do very well because you’re used to doing it and feel like it’s expected of you. After a while, I learned and discovered how deep the project management skill set runs and how many things you need to know and do to be good at it. Project management is 90% communication (at least) and learning how to do that as effective as possible takes time and practice. Even just getting the right people to listen to you requires leadership skills, tact and creating rapport. Those skills take time to develop, and you’ll never learn them from a book. “When I first started out, I think the biggest issue for me was being taken seriously at work. As a young woman in a project management position, I was trying to influence others more senior and older than myself. I was lucky to have the support of a good mentor and a supportive line manager as well, plus I was able to attend leadership training. Having confidence in my abilities and knowing what I was able to contribute made me feel more positive about the difference I was making. “The biggest problem I encountered when I started my project management career was that I was the only project manager at my office. There was nobody around me I could reach out to ask questions or get coaching. As the project management process experiences change all the time, you need to use different methods, methodologies and frameworks accordingly. Also, the framework and the methods you use will be totally dependent on the industry, projects etc, so relying on a single framework doesn’t help you. Be it any project, if not completed in time cause a huge loss to the company in terms of money, time and most importantly reputation. Even if you have the best workforce, there happens sometimes that you are not able to complete your work as planned. As times have changed, you also need to move according to it. To overcome such problems usage of project management tools helps you ease your work and save time. Here we are showcasing the uses and tools which can help, in a tabular form. File Sharing Systems Dropbox, Microsoft OneDrive, and Apple iCloud Drive. Video Calling System tools Skype, Google Hangouts, or Viber. Comprehensive Project Management Paymo, Scoro, or Teamwork ,Projects. Every project manager has their own style of work. Before becoming a manager try finding and learn about your own style. Know what are your strengths and weaknesses and what makes a fabulous manager. Ability to learn new skills and ensure to always keep your mind open for new things.